Los Angeles, commonly just known as LA, is the second largest city in the USA after New York, and major commercial and financial centre on the Pacific Coast of Southern California. 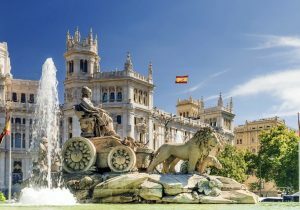 Its Mediterranean climate makes it a great place to live and as the home of Hollywood, it has great appeal for tourists as well with its host of attractions. They include Hollywood of course, other entertainment like Disney but also the lovely beaches. It has played host to the Olympic Games twice with the 2028 Games scheduled to return to the City. While the city has a population of around 4 million, the great metropolitan area is almost five times that number. Depending on your major interests, you may have a little travelling to do to see everything and if you have just 2 days in LA, be prepared for a busy time; two full days of activities. 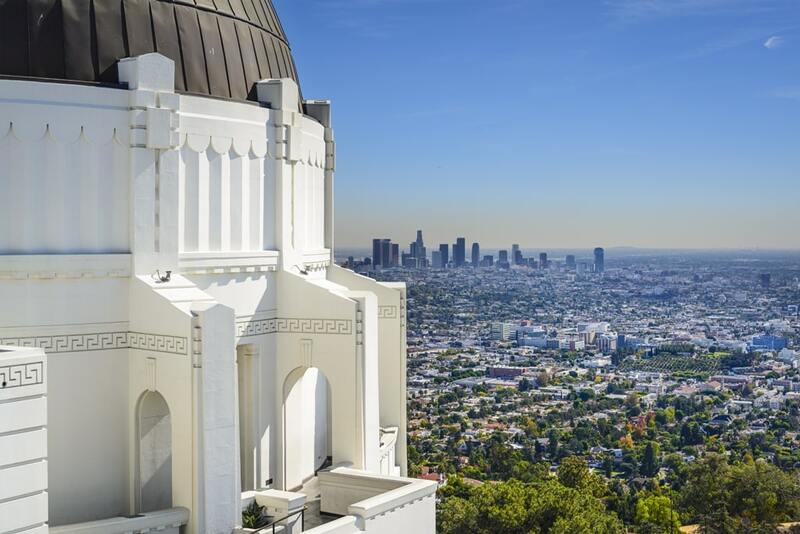 The Go Los Angeles Card offers free entry to around 30 of LA’s major attractions so that is certainly worth investigating. Hop-On, Hop-Off tourist buses provide the flexibility that independent tourists seek, and you can buy one that is valid for 48 hours from first using it. It is simple to rent a car to drive yourself around Los Angeles but that is not for everyone in a strange city. You certainly need to do some planning before for you head for LA and here is an idea of 2 day Los Angeles itinerary to help your research. 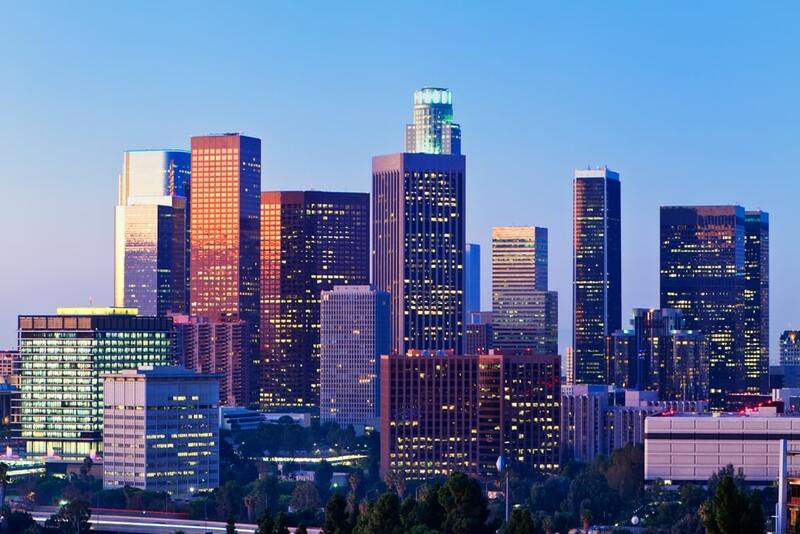 It makes sense to start a 2 day Los Angeles itinerary with the best-known attractions downtown. At the end of the day, you may decide to go on an organized tour by night to see LA lit up but after a busy day, you may just be happy to relax and have dinner. Don’t expect any red carpet when you go to the Hollywood Walk of Fame. It is little more than a photo opportunity to take a snap of your favourite film stars. You won’t see any celebrities there and tourists will certainly find shopping rather expensive, but you really must go there. Be warned that the Walk goes on for several blocks so be prepared to walk. There were once studios in the vicinity but no longer because they moved up to Burbank further north. 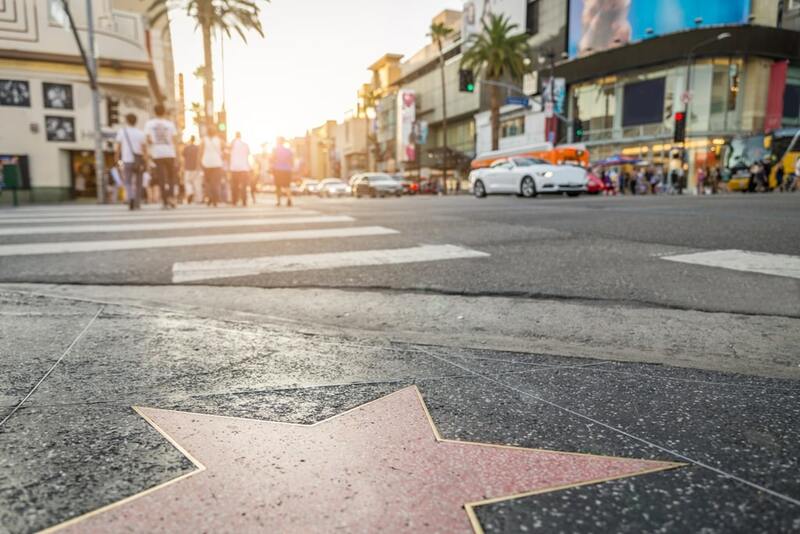 While in Hollywood, if you plan your time well, you can perhaps make a short visit to Madam Tussauds Wax Museum or the El Capitan Theatre. Beverley Hills is the home of the stars but if you want to see many of the glorious mansions where they live, you have two alternatives. 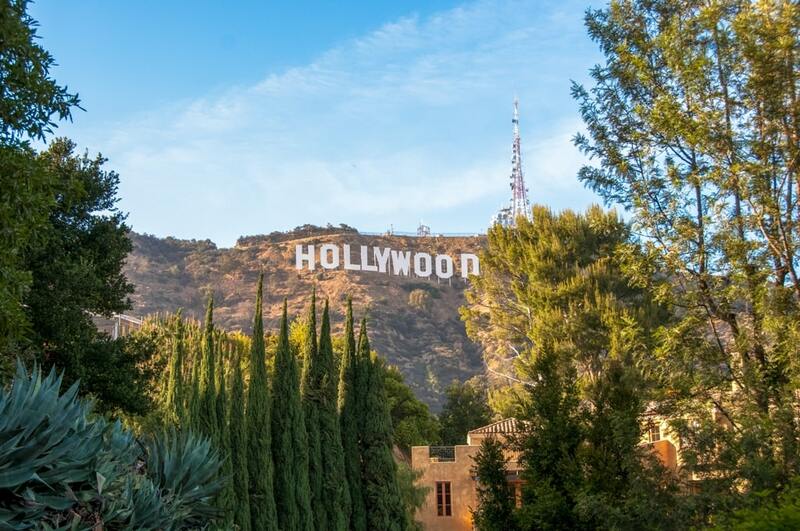 Unless you decide to rent a car, your choice is down to one which is to take an organised Tour of Beverley Hills where you will get a commentary from the guide on the bus. Don’t be disappointed if it is only the mansions you see, but they are almost all truly spectacular. The Tour starts in Hollywood so you can make this your second ‘’attraction’’ of the day. 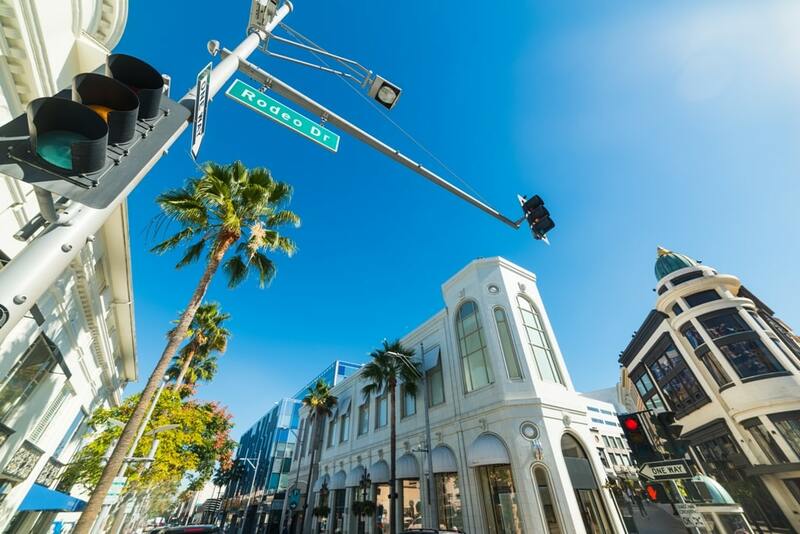 The television show Beverly Hills 90210 put Rodeo Drive well and truly on the map. Few shopping districts in the world are as famous, or as expensive. Tourists abound, but again celebrities will be elusive. 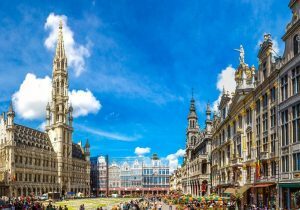 Unless you have a wallet full of credit cards, you may just want to go and look, and perhaps pick up a very small souvenir to say you have shopped there. One photo you might like is with you standing next to one of the really expensive cars inevitably parked there. Lamborghini, Maserati or Ferrari anyone? If you are interested in shopping, it is far more practical to go to the Grove with its 100 or so stores in a lovely outdoor area and the Farmer’s Market which is a very popular place with locals at weekends. There is a bus running between the two and at the Farmer’s Market you can expect to find great coffee if you want to rest your feet, as well as gourmet food. It is an early start on day two if you want to have a closer look at the famous Hollywood sign in the hills. The Observatory in Griffith Park doesn’t open until 10am and you need to be up in the Park long before then to fit everything in your second day. While the Observatory is great, it is the views from Mount Hollywood down over LA that is truly memorable. You will have some walking, more like hiking, to get to the best places so be prepared. If you return to LA a second time, you can plan to take some of the many trails up there but on this trip a closer photo of the famous sign is probably all you can manage. 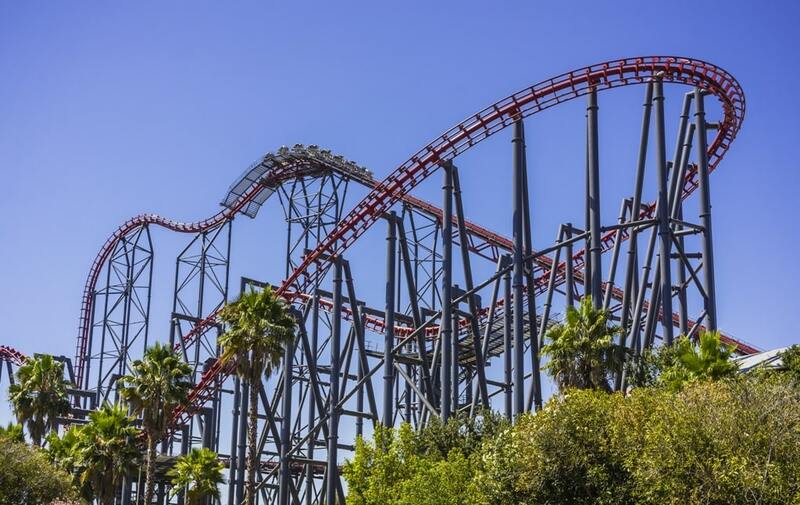 There are several theme parks in Los Angeles and time is the major constraint when it comes to visiting more than one, and then perhaps only briefly. However, if you are with your children, you will have to allocate some time for a ride or two. Six Flags has terrifying roller-coaster options while in contrast Universal is fairly tame. Likewise, Knotts Berry Farm which is certainly child-friendly, won’t scare you too much. The nearby Knotts Soak City gives away its secret in the title but on a really hot day, it is very refreshing. You cannot visit LA without heading for the beach. 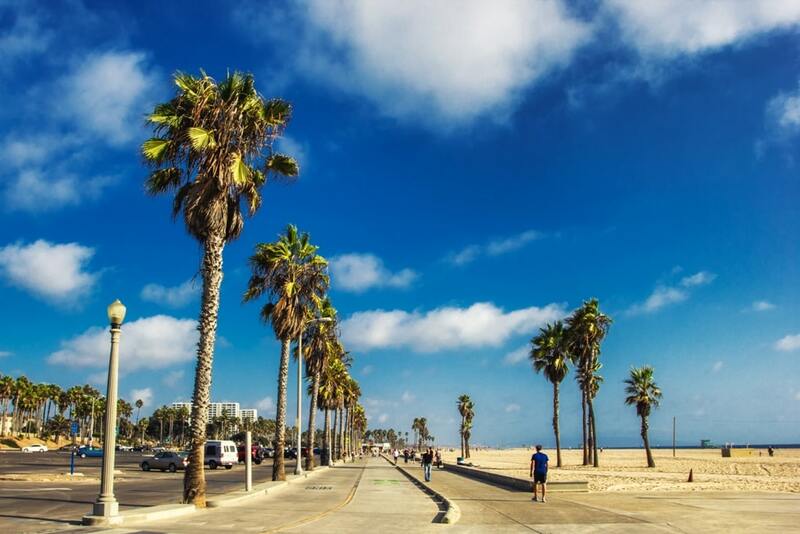 Even if you are not interested in swimming, you must go to Venice Beach which is as famous for its promenade and attractions as the sea and sand. Venice Beach is a great neighbourhood of LA with its bohemian lifestyle, buskers, artists and characters, skateboarders and much more. Stalls sell everything imaginable and there are even canals, the reason for the district’s name. 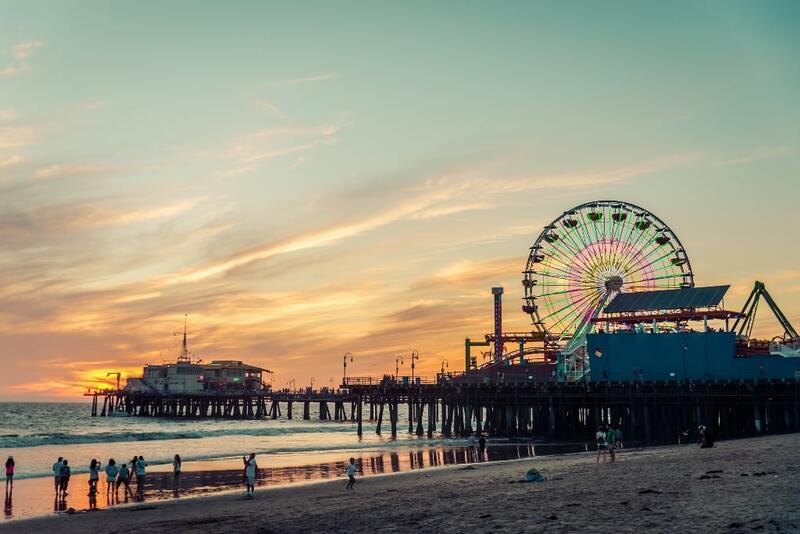 The Coast is the best place to see the sunset with the sun falling down over the Pacific Ocean so why not see it in Santa Monica? Its pier is over 100 years old and marks the official end of Route 666; tourists have been visiting just as long. The amusement park on the pier has several rides including a very famous Ferris wheel from where you get some amazing views. The beauty of the park is that it is open well after dark so you can make this your last ‘’attraction’’ of the day and stay until you get hungry. The pier has restaurants serving everything from burgers to fresh seafood. Los Angeles International Airport (LAX) is the main airport of entry but there are four other commercial airports serving LA in Burbank, Santa Ana, Ontario and Long Beach. For the purposes of this itinerary, the assumption is that you will arrive at LAX at one of its nine terminals. LAX FlyAway runs buses to and from several parts of the Greater LA Metropolitan Region. LAX City Bus Center offers an equally comprehensive service to the Greater Region. In both cases, the cost is only a few dollars. Available but you can expect to pay over $70 to get to Downtown as an illustration. The advantage is that a taxi will take you directly to your hotel. The journey in average traffic will take around 30 minutes. If you intend to rent a car, you can get a shuttle service to your vehicle but there are no rental parking lots at LAX. With just 2 days in LA, it is questionable whether the advantage of your own transport is outweighed by your lack of familiarity with the City, and the traffic. Los Angeles is a truly international city and not surprisingly you will find every kind of cuisine. You may just be happy to eat on the move during the day. After all, you only have two days in Los Angeles. American breakfasts can be huge and enough to fill you up for the whole of the day. However, at lunchtime you may just fancy a snack with hot dogs, burgers and delicatessen sandwiches amongst your options. However, at night time it is certainly worth going to a nice restaurant; here are a few ideas. Tatsu Ramen is Asian cuisine, primarily Japanese, and is owned and run by a young man who left Japan as a teenager to live in Hawaii. He moved to LA and missed the soups he ate as a child. This was his motivation for opening the restaurant. 2123 Sawtelle Blvd, Los Angeles. Inevitably, all the top international hotel chains have a presence in LA. 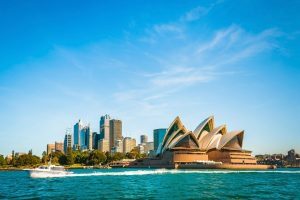 If you want a weekend of luxury, you can have it but there is something for every pocket and if your hotel is just a place to lay your head after a busy day or two, location may be your top priority. Intercontinental Los Angeles Downtown is the tallest building west of Chicago, 70 floors and almost 900 rooms and suites. It lacks for nothing and guests who have a full wallet will certainly enjoy their stay. 900 Wilshire Blvd., LA 90017-4701 00 44 871 423 4917. Loews Hollywood Hotel certainly scores from the location point of view. It is a 4-star hotel close to all the action, including shopping. Its facilities are all you would expect from quality accommodation. 1755 N Highland Ave, Hollywood, Los Angeles, CA 90028-4403 00 1 855-563-5917. Regency Inn Los Angeles is a 3-star motel on the famous Route 66 in the increasingly popular neighbourhood of Eagle Rock next door to Glendale. It offers very comfortable accommodation, and definite value for money, but there is no elevator which is a drawback for some people. 2378 Colorado Blvd, Eagle Rock, Los Angeles, CA 90041-1145. There is a great deal to fit in in just 2 days in Los Angeles and you may find yourself running out of time. 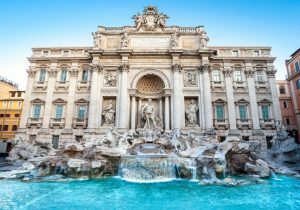 Day 2 in this itinerary is very full but with Santa Monica alive until very late in the day, you may even catch the sunset at Venice Beach before heading on. 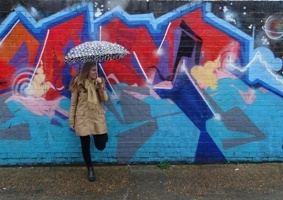 Good luck with your travels; you may well decide that LA deserve a second or even third visit.